It’s actually OK to cut the mold off certain foods, and still eat them. No one wants to eat this. Or do they? But just because some molds will make you sick doesn’t mean all will. Take a look at blue cheese that’s covered in the stuff, and celebrated on cheese plates everywhere. That’s a mold we actually enjoy eating. And then there are the molds that grow on foods we wish they didn’t. It’s a bummer, but we have good news: mold doesn’t always mean food is doomed for the trash. These are the moldy foods we’re going to talk about today. 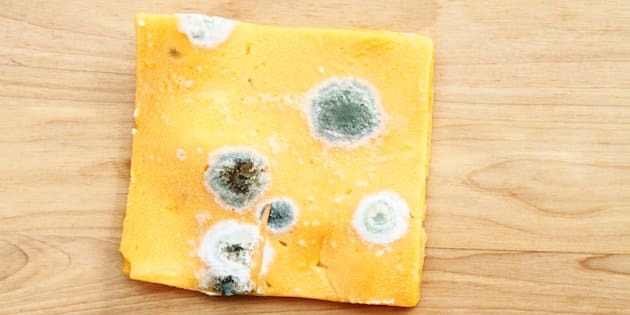 In an effort to fight food waste, here’s a list of foods ― put together by the USDA ― that are still safe to eat, even after they start growing mold. Just cut the moldy part off, or scrape it away, and enjoy. 1. Hard salami. Scrape off the mold and continue enjoying your cured meat. It’s actually normal for a self-stable product such as this to develop mold over time. 2. Hard cheese. In those rare instances when cheese actually lasts long enough in the fridge to develop mold, you can rejoice in the fact that it’s still entirely edible. Just cut off the moldy part, and roughly an inch around it, and chow down. Just be sure you don’t cross-contaminate the moldy and good parts of the cheese when cutting. 3. Firm Fruits. Firm fruits like bell peppers (yes, it’s technically a fruit) that have a low moisture content can still be eaten if mold appears. Just cut around the small mold spots and it should be good to go. Softer fruits, such as peaches, should be tossed because the high moisture content means it can be contaminated below the surface. 4. Firm Vegetables. Firm vegetables with low moisture contents ― such as cabbage and carrots ― can be eaten even after light mold appears. Just cut away the spot and an inch around it. Some foods ― usually soft foods with high moisture contents ― should be tossed once mold appears. This includes lunch meats, cooked pasta, cooked grains, soft cheese, yogurt, sour cream, jams, breads as well as soft fruits and vegetables. If you’re not sure what’s safe, don’t take the risk. Toss it ― or compost it. Just know that next time your favorite hunk of cheddar has a small spot of mold, you can just cut it off and still enjoy your cheese.